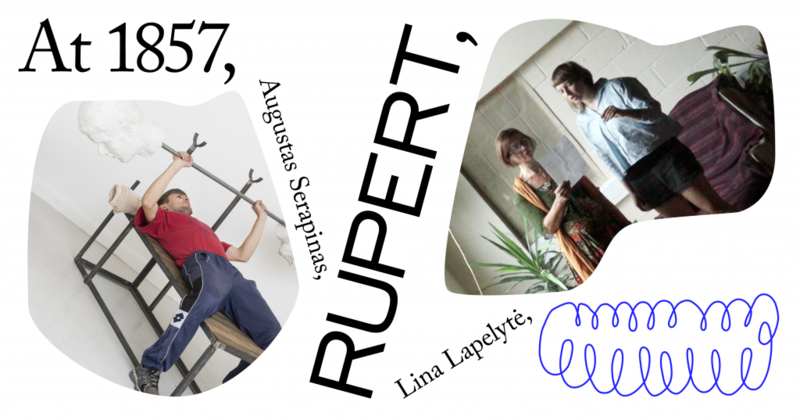 1857 (Oslo, Norway) and Rupert (Vilnius, Lithuania) are pleased to invite you to “Rupert at 1857”, a night of performances by Lithuanian artists. Augustas Serapinas’ “Gym” and Lina Lapelytė’s new performance featuring musician Liudas Mockūnas and dancer Ilva Juodpusytė will be presented on the night celebrating the last months of the current address of the space. Augustas Serapinas (b. 1990) lives and works in Vilnius. Serapinas graduated from Vilnius Academy of Arts in 2013. Recent exhibitions include Four Sheds, Fogo Island Arts, Newfoundland, Canada (2016-2017); Kunsthalle Wien, Vienna, Austria (2017), Housewarming, Emalin, London, UK (2016); Double Bind, RUPERT, Living Art Museum and Oslo Art Academy ; Phillip, Lukas & Isidora, SALTS (Birsfelden, Switzerland, 2015); The Future of Memory. An Exhibition on the Infinity of Present Time, Kunsthalle Wien (Vienna, Austria, 2015); How to Gather? 6th Moscow Biennale (Moscow, Russia, 2015); DON’T YOU KNOW WHO I AM? Art after Identity Politics, MuHKA (Antwerp, Belgium, 2014). Lina Lapelyte (b.1984) works and lives in London and Vilnius. Her performance-based practice is rooted in music and flirts with pop culture, gender stereotypes, aging and nostalgia. Lina Lapelyte has previously exhibited and performed at FIAC/Hors Les Murs, Paris (2017); MACBA, Barcelona (2017); Kunstraum, London (2017); Vleeshal, Middleburg (NL, 2017); Venice architecture Biennial, Venice (2016); CAC, Vilnius (2016); Focal Point Gallery, Southend (UK, 2016); Double Bind, NILO, Reykjavik & Rupert, Vilnius (2016); Hayward touring show, UK (2015); Block Universe, London (2015); Serpentine, London (2014); Baltic CCA, Newcastle (UK, 2014); DRAF, London (2014/2017); Queen Elizabeth Hall, London (2014). The project is partly supported by Lithuanian Council for Culture, Ministry of Culture of the Republic of Lithuania, and Arts Council Norway. For press inquiries please email info@rupert.lt and info@1857.no or call +370 682 54 930.